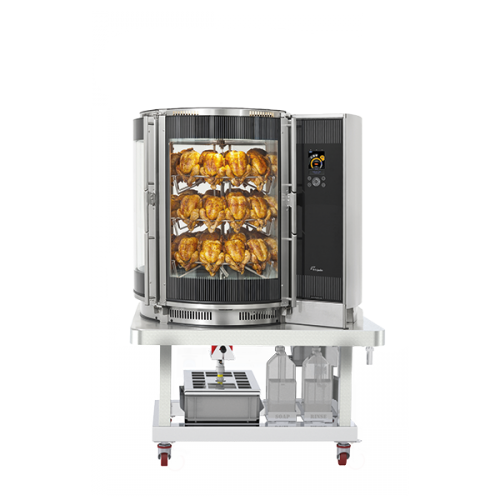 The self-cleaning feature of the Auto Clean Rotisserie will save you at least an hour of labour every day. 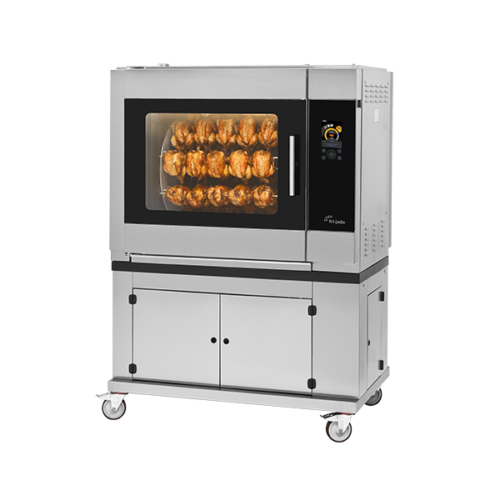 It is the first rotisserie that is as convenient for the operator as it is for the customer. Cleaning can be done overnight, enabling the operator to spend his valuable time on attending customers The Cook Correction Technology corrects alterations in the cooking cycle that are due to half-loads, overloads, or products with a difference in temperature. 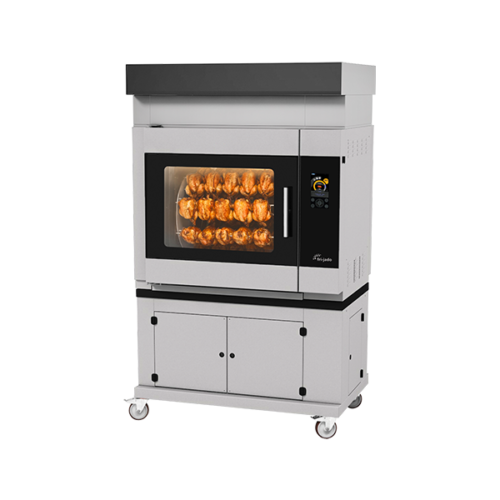 It measures abnormalities in the temperature curve and corrects the cycle automatically, ensuring food safety and energy-ef cient cooking. The ACR is a pleasure to use. A consistent cooking cycle is guaranteed as operators are instructed on how to follow the right grilling procedure. The Cold Deli square is available in 3, 4 and 5 GN-pan sizes. Systems can be installed as drop-in versions in a counter or on a matching stand. For maximum exibility, the unit is self- contained and can be installed anywhere a single-phase socket is available. The Cold Deli Essential and Self-Serve are based on simplicity. All basic features are united in these cabinets without quality and nishing being compromised. These counters contain the perfect holding climate to keep your products fresh. The Cold Deli Premium is complete in functionality. 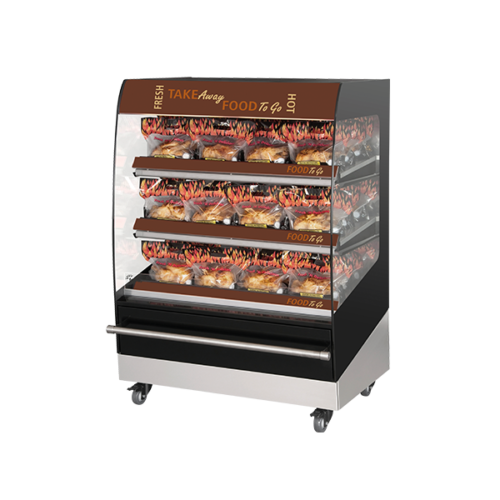 The mild air ow enables you to hold and display the most versatile food products with different holding requirements. It has a water evaporation system and mirrored sliding doors. 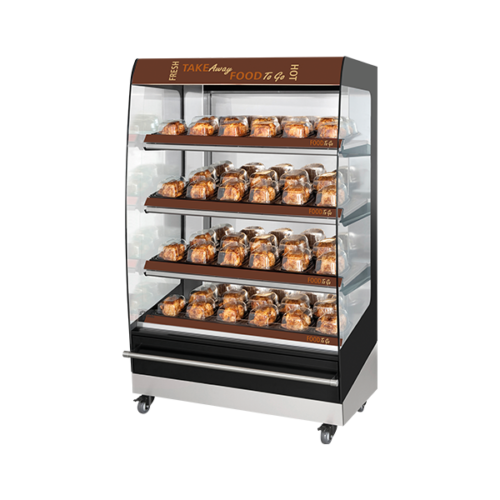 Combine the Cold Deli with the Hot Deli to display both your hot and cold food products in one matching design. The Cold Deli square is available in 3, 4 and 5 GN-pan sizes. Systems can be installed as drop-in versions in a counter or on a matching stand. For maximum exibility, the unit is selfcontained and can be installed anywhere a single-phase socket is available. The Cold Deli Essential and Self-Serve are based on simplicity. All basic features are united in these cabinets without quality and nishing being compromised. 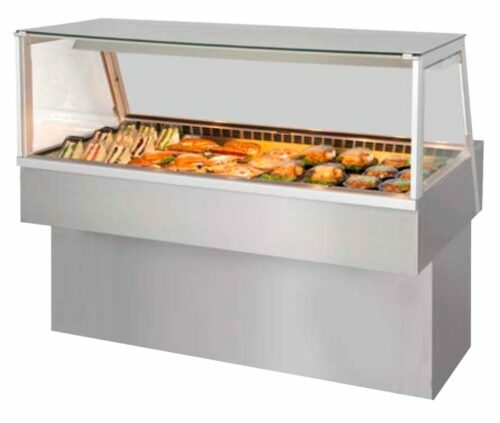 These counters contain the perfect holding climate to keep your products fresh. The Cold Deli Premium is complete in functionality. 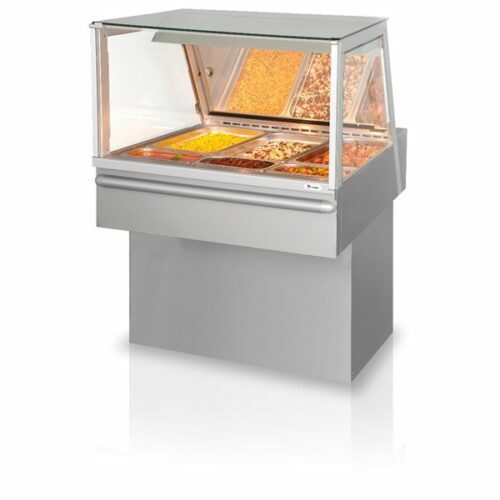 The mild air ow enables you to hold and display the most versatile food products with different holding requirements. It has a water evaporation system and mirrored sliding doors. 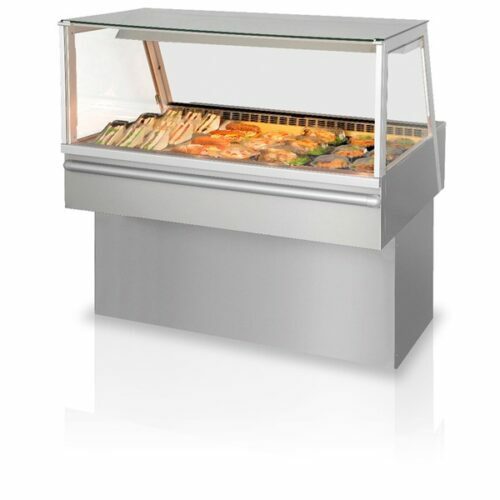 Combine the Cold Deli with the Hot Deli to display both your hot and cold food products in one matching design. The Hot Deli square merchandiser is available in 3, 4 and 5 pan sizes. It can be built-in into existing counters or installed on a matching oor-mounted stand. 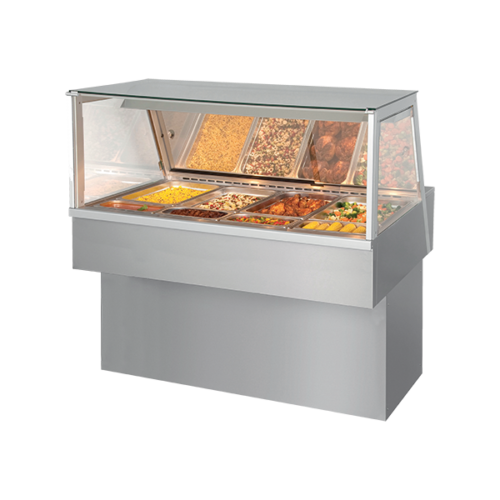 The Hot Deli can also be combined with the Cold Deli to display both your hot and cold food products in one matching design. The Hot Deli Essential and Self-Serve are based on simplicity. All basic features are united in these cabinets without quality and nishing being compromised. These counters contain the perfect holding conditions to keep your products fresh. The Hot Deli Premium is complete in functionality. It features independent upper radiant heat to control humidity over each GN-section. In order to ensure ideal holding conditions, humidi cation can be set at four different levels. 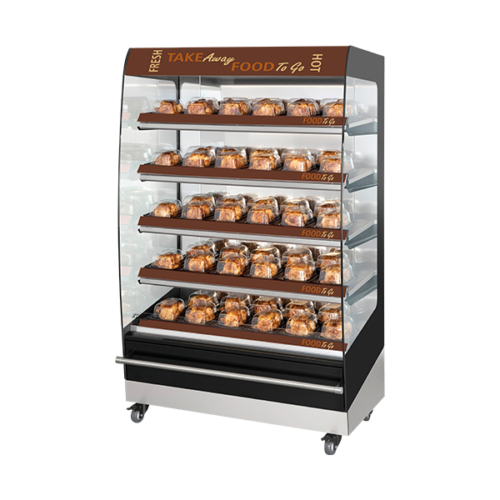 The mild air ow enables you to hold and display the most versatile food products with different holding requirements. Heated grab-and-go display warmer with 3 presentation levels and a width of 100 cm. Placing impulse food products near checkouts has proven to be a successful strategy in today’s grab-and-go market. 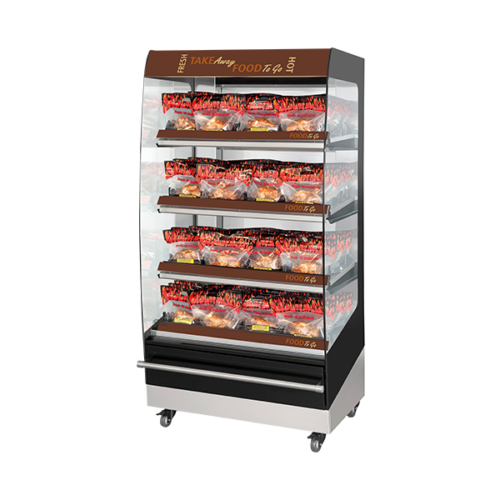 With the Fri- Jado Multi Deck, your customers can pick up delicious, hot, pre-packaged snacks and meal solutions practically anywhere in the store. Hot air is blown from the front of the shelf and circulates within the shelf surface resulting in optimum air circulation around the hot product. 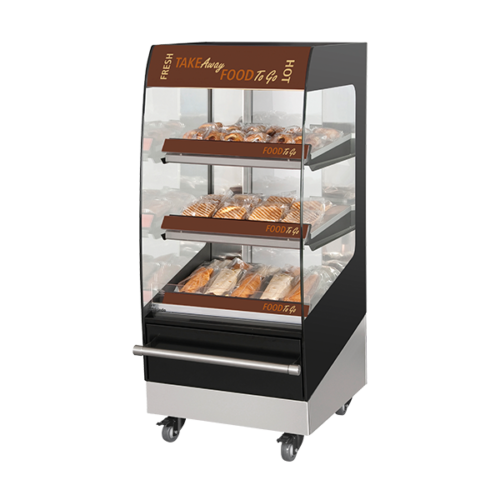 As the Multi Deck has limited height it can easily be installed as an aisle end or integrated in your deli department without blocking your customers’ view. The large glass surface and lighting on each shelf draw extra attention to your products, boosting impulse sales. Heated grab-and-go display warmer with 4 presentation levels and a width of 100 cm. Heated grab-and-go display warmer with 5 presentation levels and a width of 100 cm. Placing impulse food products near checkouts has proven to be a successful strategy in today’s grab-and-go market. 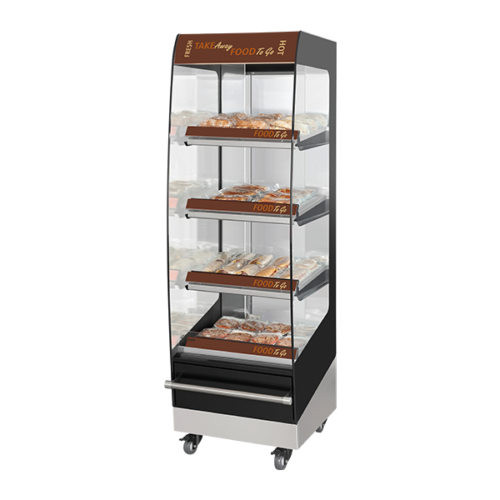 With the Fri- Jado Multi Deck, your customers can pick up delicious, hot, pre-packaged snacks and meal solutions practically anywhere in the store. Hot air is blown from the front of the shelf and circulates within the shelf surface resulting in optimum air circulation around the hot product. Large glazed walls give a 180-degree view of the products. The appealing design gives outstanding product presentation which is sure to boost impulse sales. Heated grab-and-go display warmer with 3 presentation levels and a width of 120 cm. 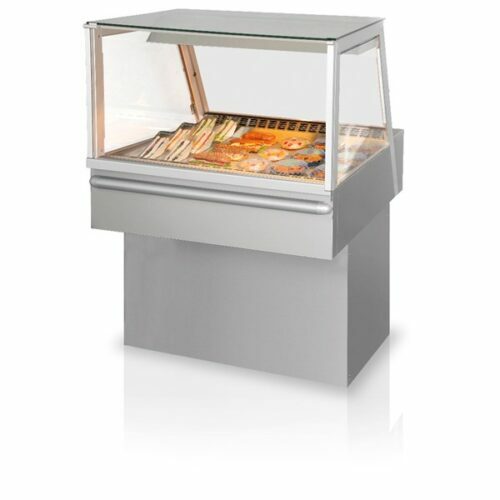 Heated grab-and-go display warmer with 4 presentation levels and a width of 120 cm. 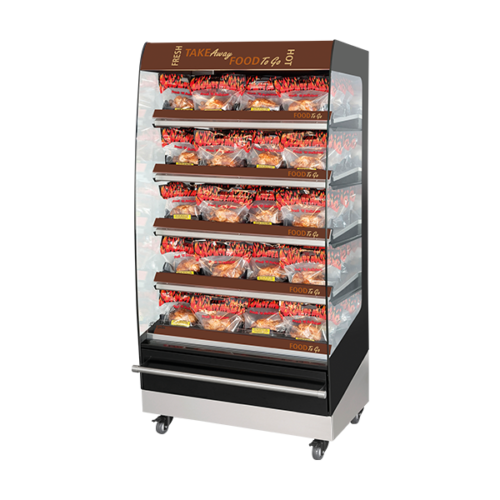 Heated grab-and-go display warmer with 5 presentation levels and a width of 120 cm. Heated grab-and-go display warmer with 3 presentation levels and a width of 60 cm. Heated grab-and-go display warmer with 4 presentation levels and a width of 60 cm.